Delighted to recently present the proceeds from our annual Christmas walk of €1,800 to the Louise Lynch Fund and €1,800 to the Ian O’Connell Trust. HUGE THANKS again to everyone who generously donated on the day. Front row: James Looney (Chairman) presenting the cheque to Seamus Lynch on behalf of the Louise Lynch fund, Ian O’Connell receiving the cheque from Padraig Buckley (KVC&V). 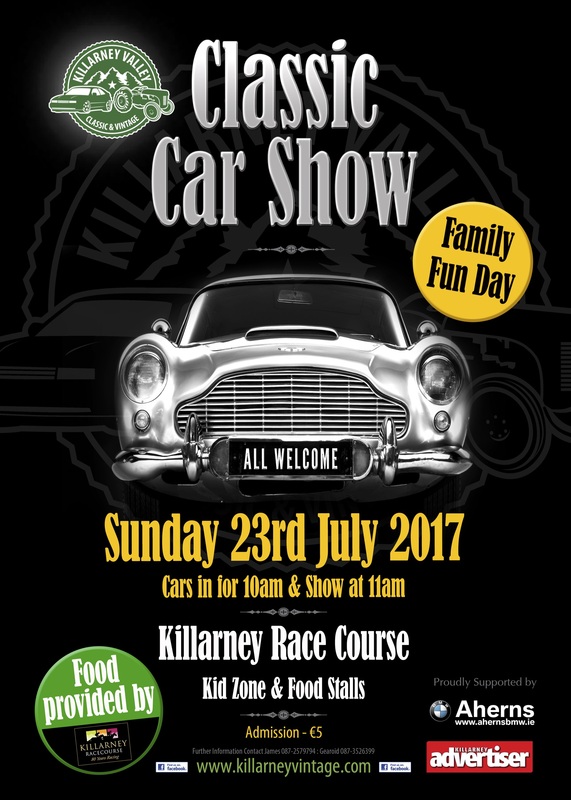 The annual Classic Car Show hosted by Killarney Valley Classic & Vintage takes place on Sunday the 22nd July at the beautiful surroundings of Killarney Racecourse. A fantastic day out for all the family, so why not bring along your classic or vintage car to the Show. Reens Peugot Garage Rathmore will have a huge display of Peugot cars on display and this year we will be joined by Killarney Vintage Flea Market who will have vintage clothes, bric a brac, collectibles, craft, art, handmade baking, vinyl, potted plants, crochet, live music along with a children’s fun zone. All Welcome. Admission €5 per adult – kids free. Show starts at 11am – All exhibiting vehicles to be in place before 11am. Any queries to James 087-2579794 or 087-3381842. Anyone interested in competing should download a copy of the ITPC farm class rules from the link below and note that the adoption of the European hitch height of 500mm is measured from the ground & the maximum distance forward for front weights of 1100mm is measured from the front grill of the tractor. Go to http://www.tractorpulling.net for full ITPC details. THE South Kerry Ploughing Championships and Harvest Show, a hugely popular charity event that turns back the clock and looks to the future on the same day, will take place on Sunday, September 3. Organised by KillarneyValley Classic and Vintage and now in its fourth year, the day-long event will take place on Fleming’s Farm at Grenagh, Fossa, Killarney. 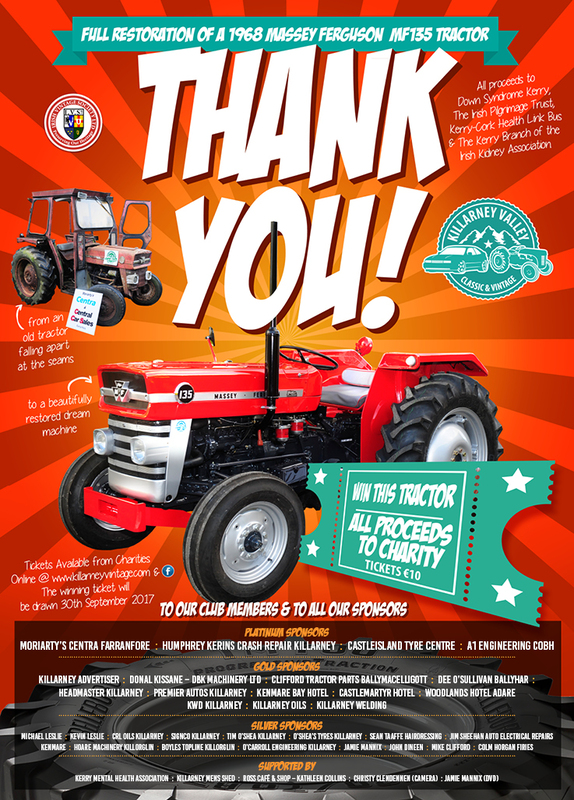 This year’s show was officially launched at a reception in the Innisfallen Hotel at the weekend by Kerry County Council Chief Executive Moira Murrell and teenage entrepreneur Jack Nagle, a prizewinner at the Young Scientists exhibition with his invention of a safety lock for tractors that engages the handbrake automatically. Also in attendance were Mayor of Kerry, Cllr John Sheahan and Mayor of Killarney, Cllr Niall Kelleher. Speaking at the launch, Killarney Valley Classic and Vintage Chairman, Tom Leslie, said since it was started in 2014, the event has generated tens of thousands of euro for local charities and, at this stage, the club has contributed close on €100,000 to worthy causes. This year’s beneficiaries will be the Kerry branch of the Irish Kidney Association, Down Syndrome Kerry, the Irish Pilgrimage Trust and the Kerry-Cork Health Link Bus. “A massive attraction this year is that the event will incorporate the National Rally of the Irish Vintage Society, showcasing Ireland’s great heritage, and this year’s show will also feature a round of the Irish Tractor Pulling Championships which is always a great spectacle,” Tom said. The latter involves heavily modified tractors pulling massive weights along a pre-determined track and it is billed as the most powerful motor sport in the world. The big day will feature numerous trade stands, traditional and modern method ploughing demonstrations, sheep shearing competitions, harvesting demos, machinery showcases and traditional farm practice exhibitions. Two fun zones and a popular maze in the maize will be on site to keep children amused and novelty sideshow events will include an all-breed dog show, baking competitions and live music to create a real party atmosphere. A major trade stand marquee will be located on the grounds with competitively priced exhibition space available to local businesses, community groups and clubs who might wish to get their message across to thousands of visitors. For information on exhibition space availability contact event secretary Ann Marie O’Sullivan on 087-9726200 or email southkerryploughing@gmail.com. 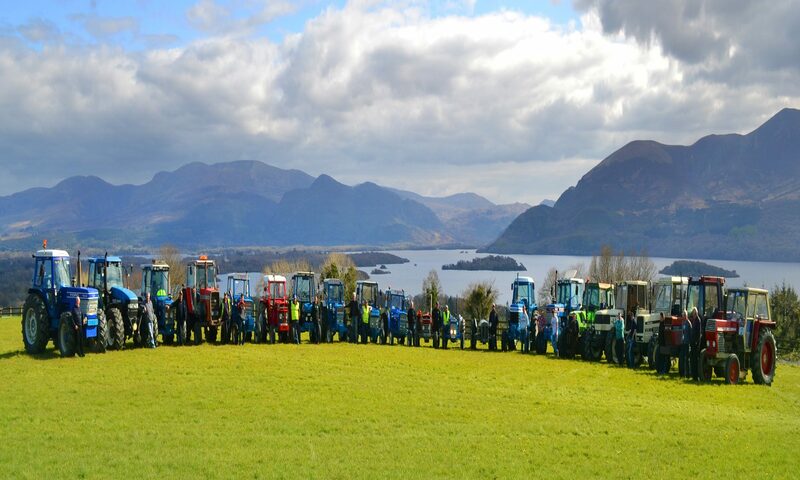 A major traffic management plan will be enforced in Killarney on the day while the South Kerry Ploughing Championships and Harvest Show will take place on 60 acres of land owned by the Fleming family. Everyone is invited to the launch of the South Kerry Ploughing this Saturday (29/07/2017) at 6.30pm in the Innisfallen Hotel, Fossa. Even if you are not a member, please come along to this great event! Membership to the club is only €10 if you wish to join on the night. Come along to the South Kerry Ploughing Championships & Harvest Show on Sunday the 3rd September for a great family day out with over 150 trade stands & exhibitors, Classic & Vintage car show, food tents & stalls, family funfair & kids amusements. There will be two fashion shows on the day and a cooking demo by Kenmare Food Blogger, Karen Coakley in the Events Marquee, Radio Kerry will be broadcasting live from 11-2, along with dog competitions, children’s baking competitions (u11 & u14 years), Adult Christmas Baking Competition, a baby bonny competition & much much more – all in aid of The Irish Pilgrimage Trust, Kerry Branch of the Irish Kidney Association, the Kerry-Cork Health Link Bus & Down Syndrome Kerry. Gates open at 11am – Admission €10 for adults & €5 for OAP’s & €5 for students over 14 years – Under 14’s are free.